Using computer tomography, we will scan your smile and take multiple 3D x-rays of your teeth and jaw. We combine the images we gather to create a single, detailed picture of your smile. Used in conjunction with with our guided surgery software, we can choose the best place to insert the dental implants into the jawbone. Once inserted, they will bond with the jawbone through a process known as osseointegration. After three to four months, the area will completely heal and we can move on to the restoration process. Before we talk about the restorations, lets discuss sedation. We know that surgery can cause anxiety, so we always take steps to ensure the comfort of our patients throughout the entire procedure. For the dental implant placement, we will administer IV sedation to ensure you remain calm, relaxed, and have little to no memory of the procedure. An anesthesiologist will monitor you during the procedure. Afterward, a friend or family member will bring you home. We will offer detailed aftercare instructions and schedule a follow-up visit as well. Don’t let your anxiety stand between you and a beautiful, whole smile. Talk to our team today if you have questions. The dental implant is your new tooth root, bonding with the jawbone and stimulating the growth of tissue, keeping your smile healthy and preserving your facial structure. But what about the visible portion of your tooth, the part people see when you smile? For this, we create a custom-made dental crown. Made from ceramic, the crown will blend with your smile and have the ability to withstand powerful bite forces and pressures. 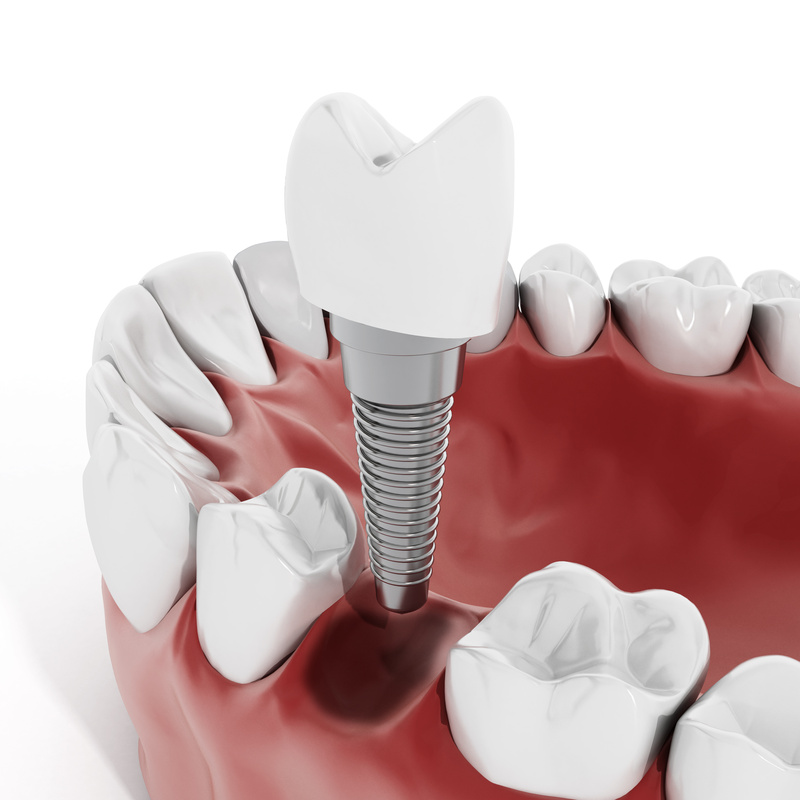 No one will be able to tell you have anew tooth, and you can expect your dental implant to last for decades with proper and attention. If you have any questions about the process of replacing missing teeth with lifelike and long-lasting prosthetic, then contact our team today. With implant dentistry, we offer a natural looking and durable solution to tooth loss. For more information on our lifelike tooth replacement options, schedule a consultation by calling Modern Smile in North Hollywood, CA, today at 818-763-9353. We also proudly serve patients who live in Burbank, Toluca Lake, and all surrounding communities.